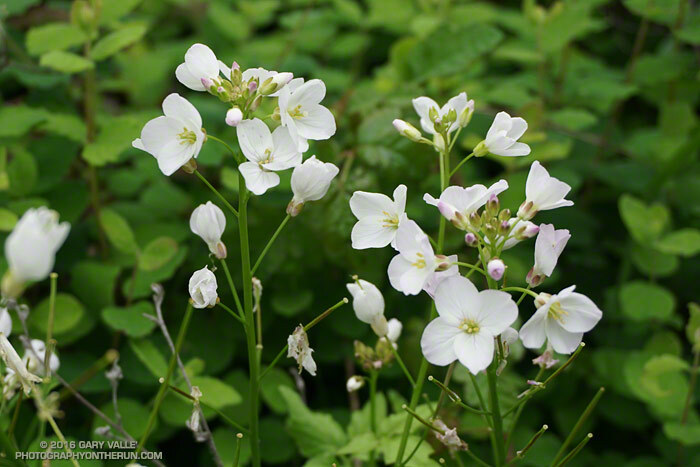 Photography on the Run: Milkmaids (Cardamine californica) along the Serrano Canyon Trail in Pt. Mugu State Park. March 19, 2016. Milkmaids (Cardamine californica) along the Serrano Canyon Trail in Pt. Mugu State Park. March 19, 2016.